It had been a frustrating morning. This was the fifth fish that had showed up in the spread, the array of teasers (lures without hooks) trolled behind the boat to attract billfish. The angler, a visitor to Costa Rica from Colorado, was a well-versed fly fisherman when it came to small fish, streams and much lighter equipment. He had often read of the exciting battles with large deep-sea creatures on a fly rod, and it was on his bucket list. The first fish was a case of buck fever. The teasers were cleared, the fish took the fly and the angler froze. In half a second the sailfish figured this wasn’t as tasty as it thought and spit it out. In the second attempt the back cast ended wrapped up in the outrigger and the opportunity was lost. Fish number three, the angler tried to set the hook with his rod instead of pulling on the line, and the fish escaped. The next fish came in lazy and wasn’t interested. When some little girls were playing with dolls, playing make-believe hairdresser or make-believe mom, Beatriz was exploring the forest near her home in Tarrazú, high up in coffee country. She and her cousins would spend all day climbing trees, walking creek beds and turning over whatever they could move to see what lived underneath. It is little wonder she chose to study science, specifically marine science, at the University of Costa Rica, from which she graduates next month. When Fecop (the Costa Rica sportfishing federation) teamed up with Gray Taxidermy’s fish tagging research program, they put their heads together to reward college students interested in studying species related to sportfishing. That encompasses not only pelagic species, but many inshore species also. 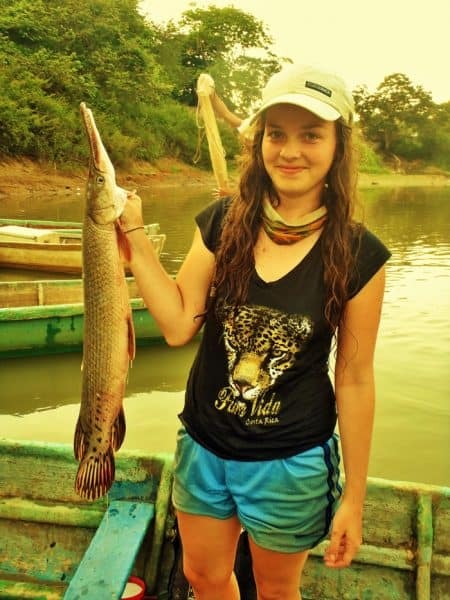 They decided to have a competition among students from all universities in Costa Rica, and Beatriz won a scholarship with her proposal to study the feeding ecology of sport fish. For inshore species such as snappers, groupers, congrias, and mackerel, she could seek the assistance of artisanal fishermen for samples. 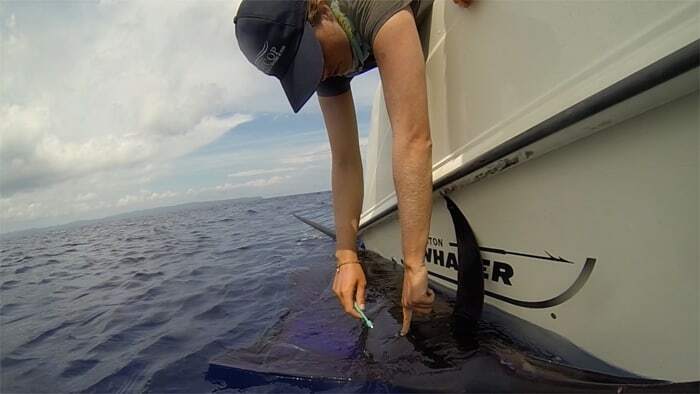 For species that are normal catch-and-release, she needed to ride along on sportfishing boats. 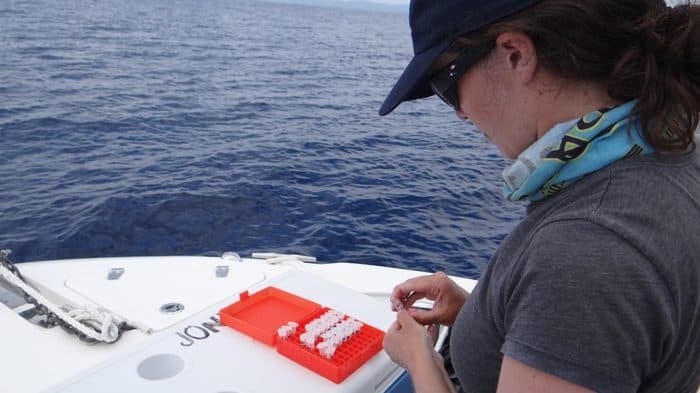 She has gathered nearly 800 samples, which co-scholarship winner José Luis Molina will soon be studying in a laboratory. 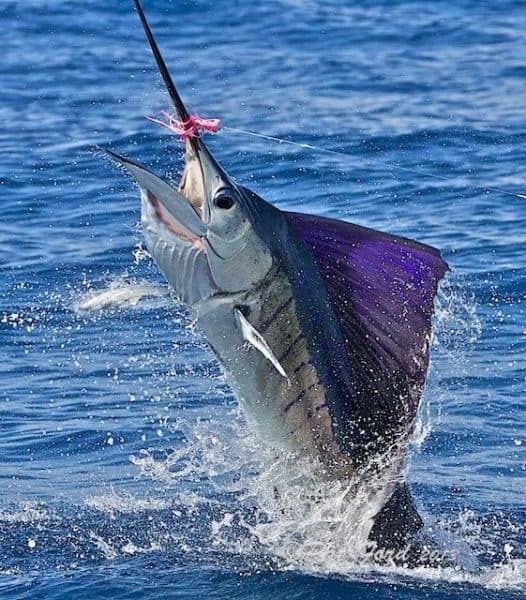 Todd Staley has run sportfishing operations on both coasts of Costa Rica for over 25 years. He recently decided to take some time off to devote full time to marine conservation. Contact him at wetline@hotmail.com.